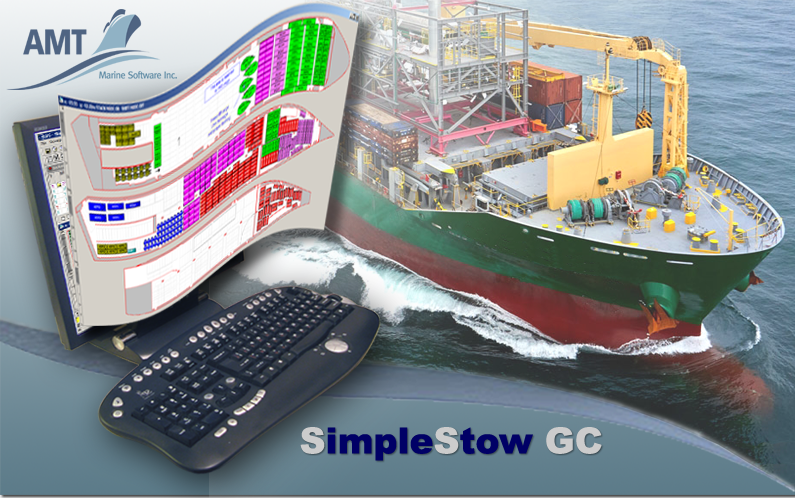 SimpleStow GC is an advanced software product developed specifically for graphical stowage planning of general, break bulk and project cargo. “GC” in the name of the software stands for General Cargo. The program is compact, graphical, intuitive, and easy to use but powerful full-featured general cargo planning software that provides all essential tools for effective stowage planning, reporting, documentation and electronic data interchange. then give SimpleStow GC a try. Download fully functional program now for a free one month test drive. Web-based ever-expanding collection of the readily available ship models created and shared by all users of the system. The models can be instantly downloaded by the registered users of the system without any additional charges and fees. SimpleStow GC utilizes the latest technologies in the graphical presentation of general cargo stowage plans and cargo data on the computer screen and in the printed reports. SimpleStow GC enables the user to plan the entire voyage, providing feedback on possible stowage conflicts that may occur not only in the currently planned port, but in ports up and down the voyage. Ship planning starts from analysis of Cargo or Booking List. SimpleStow GC provides well-developed set of functions to import, sort, filter, group, search and process cargo data. The easy to use drag-and-drop stowage planning method in SimpleStow GC is facilitated by the set of customizable stowage rules and automatic checks of stowage conflicts and limitations. SimpleStow GC provides efficient tools to import cargo lists and set up electronic data exchange with third party software and external databases in custom user-defined structured text formats. With the aid of program controls, the user himself can easily customize the interface, contents and appearance of cargo information and Electronic Data Interchange formats to his needs and preferences. The users of SimpleStow GC can download ship models from the AMT web site without limitations, or create their own models and share them with their colleagues. The software is licensed per workstation on an annual subscription basis. The software license grants unlimited number of ship models, unrestricted access and use of the web-based ship models collection and supporting services provided by AMT. Copyright © 2009-2019 AMT Marine Software Inc.